For over 10 years, Santangelo’s Party Center has provided catering services and banquet hall rental to anyone celebrating a special occasion. Our party center seats up to 550 guests and is great for weddings, corporate events, birthdays and more—staffed by professional caterers with nearly 50 years of serving experience. Contact us today for a free quote on catering or hall rental. The keys to throwing a great celebration are food and location. Great food is the perfect centerpiece to any event, and giving people a place to enjoy themselves is going to set the tone for the entire celebration. Santangelo’s Party Center is here to offer you both: catering and hall rental. We’ll make sure that whatever you’re celebrating, people will have a great time! Our catering service in Stark County, OH serves events of all sizes, with menus that can be customized for your specific tastes. Whether you’re throwing a luxury wedding or welcoming friends and family to a laid-back BBQ, we’re here to serve up food they’ll love. We promise they’ll be talking about your event for months to come! 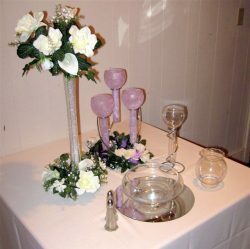 In addition to catering services, we also provide rental service for our banquet hall in Stark County, OH. We welcome crowds of up to 500 no matter what the occasion may be. With LED ceiling lighting, glass wall tile and remodeled bathrooms, our facilities are welcoming and enjoyable, giving you the perfect backdrop for your celebration. 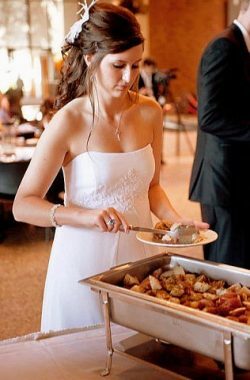 And, of course, our venue comes staffed by all of the great professionals as our catering service! They’ll make sure your plate is piled high with delicious food and your drink is never empty. Let us help you celebrate your next even and we’ll show you why people have been coming to us for catering and venue rental for more than a decade! We’re a ServSafe-certified company, giving you peace of mind when it comes to food handling and serving. Our office hours are 8:00 am to 12:00 pm, but we are always ready to take a call anytime! Our newly renovated party center seats up to 550 guests! We cater for any occasion, including weddings, sports banquets, corporate events and more. We’re pleased to provide personalized quotes to all of our customers. Whether you’re catering for 35 or 3,500 people, or you’re looking for a venue to accommodate the whole crowd, we’re standing by to provide you with an affordable quote on services. "We had such a great experience with Santangelo’s at our wedding! Tim and Jean are a joy to work with and we were so pleased with everythin..."
"Had the best food I've ever had at a wedding today catered by your company. Your pulled pork was particularly tasty with the spicy barbecue ..."
"Thank you for the wonderful service that Santangelo's provided in catering our two receptions. 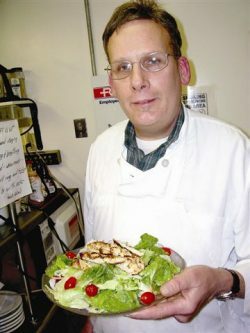 All the food was outstanding, as was the serv..."
"Santangelo’s recognized as Canton’s best. We at legacy are proud to recognize Tim and Jean Reinhart for having their busi-ness, Santange..."
"Great food, great service, all at a great price. Everyone from children to grandparents loved the food."